Construction work on a new £12 million emergency assessment centre at Northampton General Hospital is due to start in the summer. NGH is currently featuring in a Channel 4 documentary showing the pressure hospital staff are under. Last night's episode featured the A&E department and showed the strain that the unit is under due to overwhelming numbers, while praising the efforts of the staff who work there. The new assessment centre is one of a number of plans being introduced to help reduce the problem. 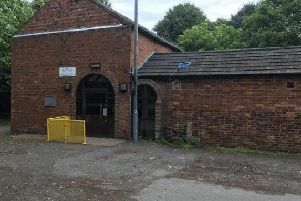 A spokesman for the hospital said: "​The two-storey building will be used to care for seriously unwell patients who need to be admitted from our A&E department for further assessment and treatment. “We have received confirmation from regulators NHS Improvement that the business case for the plans has been approved, allowing us to proceed. Planning permission has already been secured for the project and contractors appointed. It’s anticipated that construction will take approximately 12 months. “The new unit will be built on the existing site of the A&E car park and will be linked to the main building by a first-floor bridge. “The construction project will take place alongside work to provide new GP streaming facilities at the entrance to the hospital site at the Springfield. This follows a government announcement on Friday (April 21) that we will receive £858,000 to renovate the Springfield building - adjacent to the A&E department on Cliftonville - to provide a GP-led streaming unit. It is anticipated that building work will start in late spring 2017.